In a bid to improve relations with the Chinese Government, Nepal will start denying official documents to Tibetan refugees who try to enter the country. Nepal has also announced it will crackdown on any ‘anti-China activities’ and increase its efforts to deport Tibetan refugees. Human rights groups claim this puts Tibetan refugees in a vulnerable position in an unstable country. Nepal, a transit for Tibetan refugees fleeing Tibet for India and a home for some 20000 Tibetan refugees, has decided to deny documents to Tibetan refugees arriving in the country, AsiaNews reported. "We have decided to no longer provide identity cards to Tibetan refugees. If we continue to recognize them as such, we will face new waves of immigration. And we have no more space,” AsiaNewsquoted Shes Narayan Poudel, chief of the National Commission for the Coordination of Refugees, as saying. Nepal has long been a transit for Tibetans fleeing repression under China with an average of 2000 Tibetans crossing the border to until 2008 when widespread protests across the Tibetan plateau was crushed by the Chinese government. The number has now dwindled with only 200 Tibetans recorded to have crossed into Nepal in 2013. 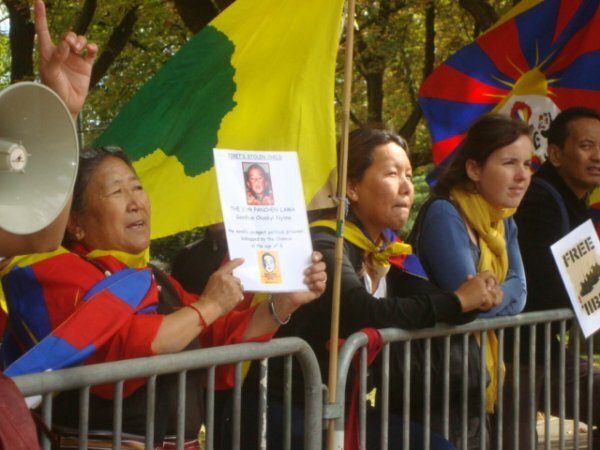 In 2003, 18 Tibetans including some children and 3 Tibetans in 2010 were detained by Nepalese police and handed over to Chinese authorities in Tibet. Nepal government has vowed to check "anti-China activities" to strengthen friendly ties with China, major donor for the impoverished country. Nepal has accommodated Tibetan exiles for decades but has come under increasing pressure from China, a major donor for the impoverished country, to crack down on political protests by Tibetans. A "Gentlemen's Agreement" between the government of Nepal and the UN High Commissioner for Refugees (UNHCR), put in place in 1989, when Nepal stopped giving them refugee status, provides for the safe transit of Tibetan refugees through Nepalese territory and onward to India. However, rights groups say Tibetans refugees in Nepal are increasingly vulnerable and at risk of arrest and repatriation under Beijing's influence and lack of stable government in the impoverished nation.